Being involved in a truck crash can be disastrous. At Hales & Associates, A Professional Law Corporation, we can assist you in recovering compensation to cover medical costs, lost wages from missing work, future treatment that might be needed and other losses you may suffer as a result of your accident. We are proven personal injury attorneys and understand the pain and stress that you are facing. It is important that you contact us as soon as possible following an injury. We can ensure that valuable evidence is preserved and witnesses don’t fall through the cracks. Physical evidence at the scene of an accident quickly disappears. Other relevant evidence may be destroyed within days of the accident. 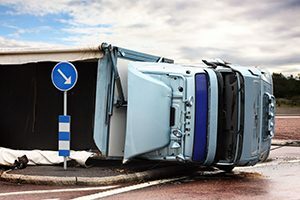 Unlike car crashes, there are unique regulations that apply to accidents involving trucks and commercial vehicles. Our firm has the expertise to protect you and your right to compensation. We can help you to determine the real value of a claim and evaluate liability. It’s critical to work with an experienced trucking accident lawyer to protect your rights and get you the help you need. Hales & Associates, A Professional Law Corporation takes pride in representing Murrieta, Temecula, Wildomar, Menifee, Sun City, and Lake Elsinore victims of truck accidents. Call us today at (951) 489-3320 to schedule your free consultation.